July 31, 2018 – San Mateo, CA – Kyndi™, the leading Explainable Artificial Intelligence company, today announced that it has been named to the JMP Securities Hot 100 list of privately held software companies for 2018. JMP Securities, a full-service investment bank based in San Francisco, compiles the annual list by evaluating criteria such as financial growth, products and services, quality of leadership, customers, and market potential. Kyndi™ joins notable artificial intelligence software companies such as Chorus.ai, Datastax, Eightfold.ai, Node.io, and Pendo.io on this year’s list. Kyndi™ is an artificial intelligence company that’s building the first Explainable AI™ platform for government, financial services, and healthcare. We transform business processes by offering auditable AI systems. Our product exists because organizations cannot use “black box” machine learning when they are required to explain the reason for any decision. 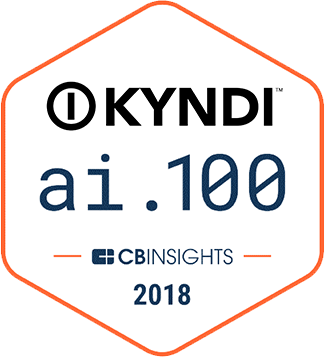 Kyndi™ was named to the CB Insights AI 100 for 2018, which includes the most promising 100 private companies working on groundbreaking artificial intelligence technology. Kyndi’s innovative approach to artificial intelligence was also featured in a recent New York Times article. Based in Silicon Valley, Kyndi™ is backed by leading venture investors.